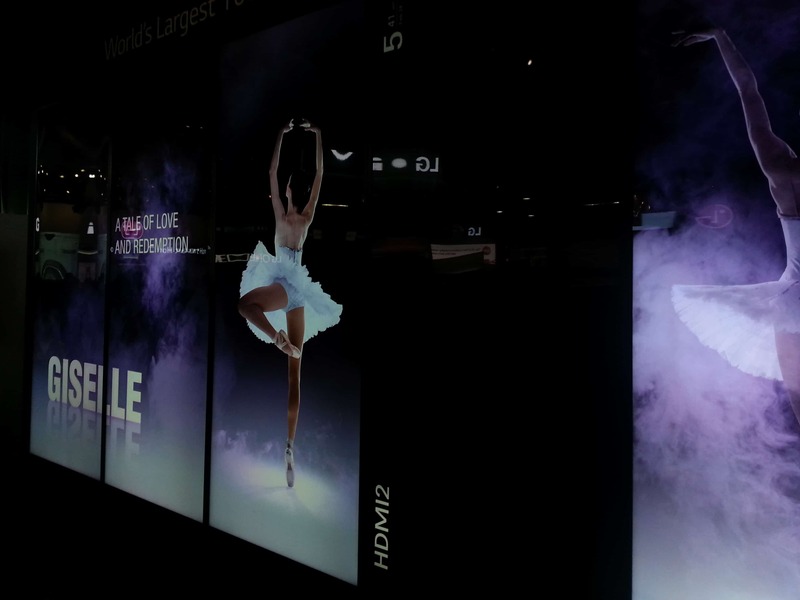 The growth and breadth of items showcased annually at CES has led to the attendance of more than sellers of electronics – it’s caused an ever-growing onslaught of entertainment marketing folks to jet over to Vegas. Wayne Friedman of MediaPost questioned the value for marketing executives attending and I responded in the comments, but I wanted to offer those comments and a little more context on this site in order to convey the true marketing value that CES provides. A lot of what Wayne points out as being of questionable meaning to marketers is in the main halls of CES and what is shown there does not always translate to what would work in the real world (marketing or otherwise). After a number of years attending CES as a marketer and a producer of immersive tech solutions, I appreciate the concept that there’s a lot shown in CES that acts just like concept cars unveiled at auto shows. Those give a vision of what could be in the future – some make it to the real world and some don’t. Sure, I love seeing curved OLED TVs that look phenomenal and will most likely never get into more than a handful of homes. Or 4K/8K content that will mostly be filled with up-rez 1080P content because too few content providers produce 4K content. The same could be said for 3D and gesture-based navigation of TVs and Appliances. As a marketer, where I think the value of CES lies is in providing a vision of the ways we’ll be able to communicate and interact with consumers in the future. The true benefit for marketers is not just the main halls, but the other halls with smaller firms and innovation. 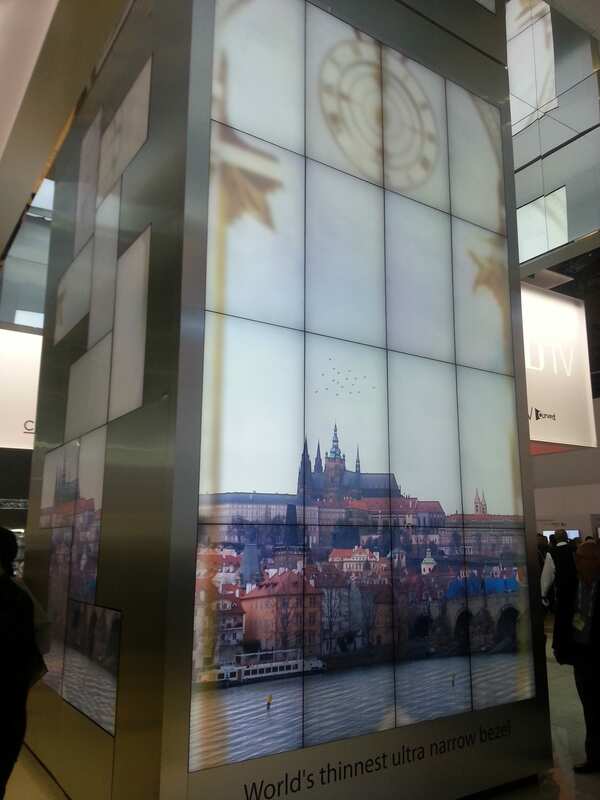 While I did see some great stuff as part of the larger booths – like Samsung, Sony and DTS for large public-facing displays, interactivity and delivery of content. There is just far too much canned content that is not ready for actual use. In some cases, companies really shoot themselves in the foot by not presenting their products in the best light – figuratively and literally. A literal example was one company who was showing off a video within a mirror – nobody thought about what happens when you shine a light directly onto the mirror and what that might do for the experience. Additionally, there are far too many staff members who might have just finished studying for an exam at UNLV prior to being hired for a few days to look good in front of electronics. I find great benefit in checking out the small booths in the outlying halls. There, I’ve found providers selling technology that lets marketers embed postage-stamp LCD displays in magazines that loop video spots. Or, the company Ablecomtech who was showing off their Visual Light Communication (VLC) which utilizes light (either an actual ceiling light or an LCD TV’s backlight) to trigger interactions with smartphones or more without Bluetooth, NFC or RFID. Memory Mirror was interesting in that there were no illusions that it was a mirror instead of a display. It allowed the user to try on multiple outfits, capture the video and then compare those outfits side-by-side at the end to figure out what pieces they wanted to buy. Supposedly, it would also allow the user to store the information so that they could call the retailer later and have all the data handy for processing the purchase. While this company’s products were cool, it was more interesting to find out how PowerPot utilized Kickstarter for three of their power generation and metering products. Certainly, sales distribution was a part of it, but they also ended up with solid market research based on it – proof that Kickstarter or other crowdsourcing sites need just be for raising funds. And, there are so many vendors offering cost-effective technology items for use as promotional items beyond a branded pen, cooler or USB thumb drive. Certainly, many of these things might not be compelling, but there are certainly diamonds if you take the time to see and talk. As usual with technology and creativity, with the help of a marketer and a visionary campaign or use case, there is an opportunity for partnerships that can bring the technology into the real world – and create a future slam dunk for the marketer.